Hey there internet bike land. Did you miss out on this cool thing that happened in Ottawa on June 1st? Zara from Ottawa VeloVogue put on this tres-chic fashion show at Kichesippi Brewery. It featured great clothes, great bikes, great people, and a great cause. "A big aspect of our event is fundraising for Cycle Salvation, which trains and gives employment in the field of bike mechanics to those who are economically disadvantaged, while at the same time diverting bikes destined for scrap and landfill sites. Cycle Salvation is a social enterprise operating under the umbrella of Causeway Work Centre." Fashionable bike event for a good cause? Nightshade approved. 2013 Ottawa VeloVogue Fashion Show from Jackpine on Vimeo. CAREBEAR was stolen last night! 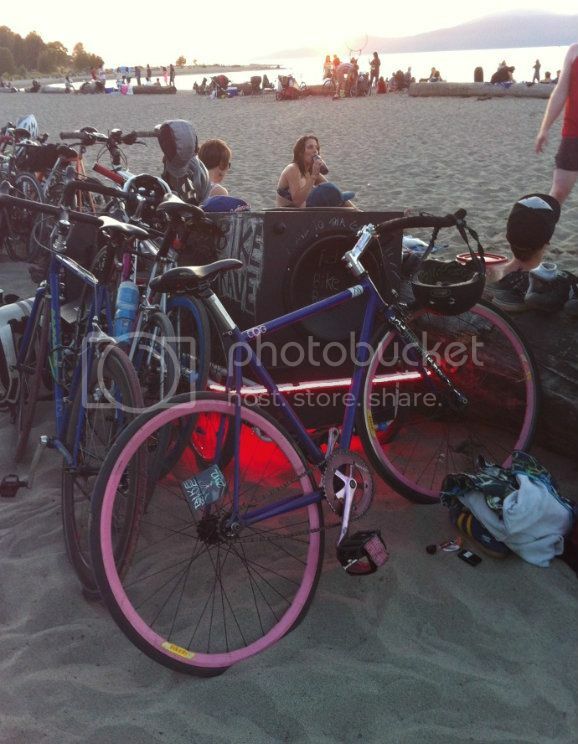 TORONTO STOLEN BIKE ALERT: CAREBEAR WAS STOLEN LAST NIGHT FROM OUTSIDE MY HOME IN KENSINGTON. PLEASE be on the lookout for her or her parts. 54 purple Mission track frame, pink Velocity B43s, Sugino Messenger cranks, was outfitted with platforms and pink YNOT razzle straps. She is scratched up from being stolen last summer. I can't believe it... meglikebikes@gmail.com for any leads or hit me up on Facebook! Meg Orlinski. Thank you! Big Red made the cover of this article in Fashion online article on Hermann & Aubrey's Lifecycle's celebration taking place from the 7th to the 9th of June. Thora, Snow White and Fierce Bambi are also featured... of course. We'll be there on June 7th between 7-11 to see the release of Danielle Dasilva's video of 5 Nightshades in pure Ganger Styles in Toronto, along with the DNS portrait series she has produced over the past month. WoOt WoOt! Check check it out here. Woah. This week there are many stylish things going on if you love your bike and looking good on it. First up is Lifecycles by Herman and Aburey, this June 7-9th. DNS will be featured in a photo series by emerging photographer Danielle Da Silva. 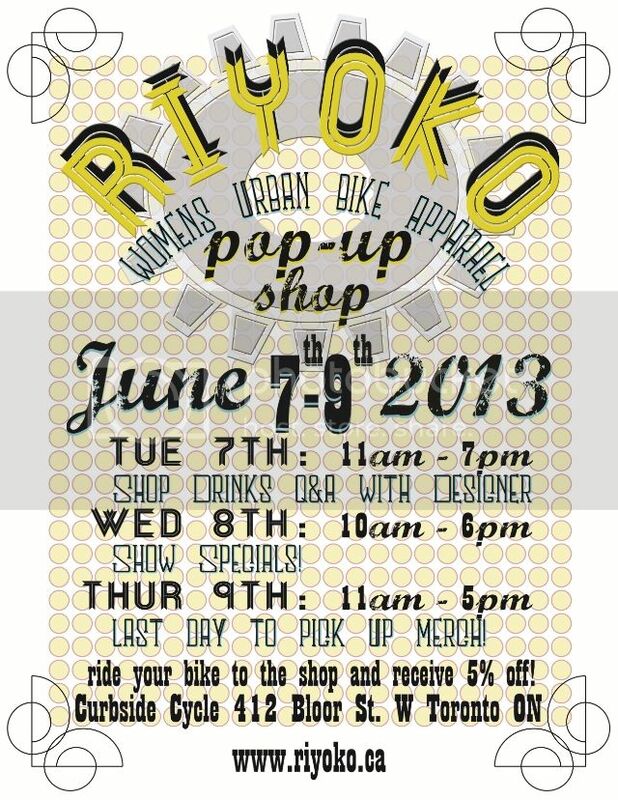 Then we have fellow Ryerson Alumni Kristi Woo of Riyoko Urban Bike Wear coming to Toronto From Calgary to sell her rad line of Cycling Apparel at Curbside Cycles. 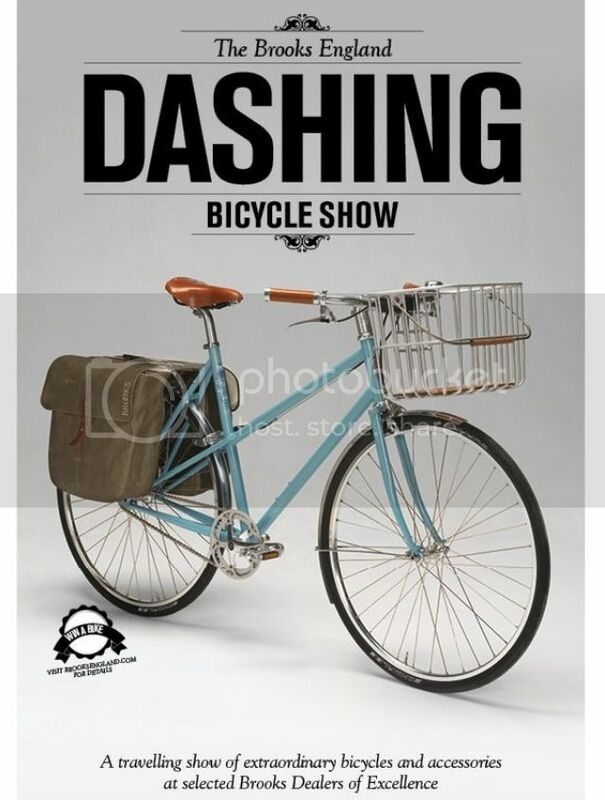 Brooks Saddles is swinging on by Toronto to run a pop-up shop, the Dashing Show, at Bikes on Wheels on June 8th.